It's no secret that humans have had a massive impact on our environment. While some of the consequences are complex and not easily quantified, rises in animal extinction rates are tragically easy to observe, with species dying out at rates not seen since the dinosaur era. This summer I worked with ProPublica to visualize the crisis in this interactive story. Using data from the International Union for Conservation of Nature (IUCN), we displayed all assessed species of amphibian, mammal, reptile and bird by their current risk of extinction. According to this recent data and scientists' predictions, 41 percent of amphibians, 25 percent of mammals, 22 percent of reptiles, and 13 percent of birds could go extinct in the near future. This data is even more alarming when it's put in context. Before the human race achieved the dubious honor of becoming the primary contributor to extinctions, natural (or background) extinctions included no more than a handful of species per century. A comparison of these natural rates to today's trends reveals a massive extinction crisis. With current extinction rates anywhere from 100 to 1,000 times higher than pre–human levels, today's crisis is on par with the Big Five mass extinction events that have occurred in the history of life on Earth. Experts are calling it the Sixth Extinction. For example, according to the background extinction rate, no more than one species of amphibian would be expected to go extinct in a typical century. Today, 2,341 are at risk. Similarly, no more than one species each of mammal, reptile or bird would go extinct naturally every 100 years, but the species at risk today number in the thousands. Within these animal classes, there are smaller groups of related species that are particularly at risk. This is because certain orders, families, and genuses share particular evolutionary traits that appear to have become disadvantages in a world ruled by humans. To help expose these clusters of related species in danger, we ordered species in the graphic according to their taxonomy: first by order, then by family, then genus. For instance, overall about a fifth of reptiles are at risk of extinction. This number is already significant, but the data for turtles is even more devastating: 81 percent of species in trouble. 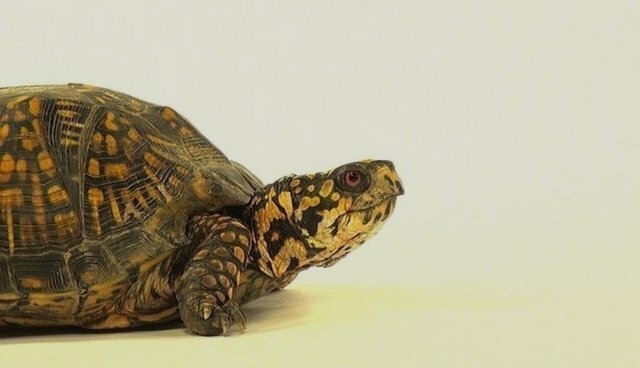 Scroll to the reptiles section and click "turtles" in the text. 63 percent of primate species are at risk today, as are 75 percent of bears, 69 percent of big cats, 83 percent of penguins, and 90 percent of iguanas. The data becomes worse still for rhinos, hippos, manatees, giant salamanders, and albatrosses; they are all 100 percent at risk. Maybe that data doesn't move you. But you're not the only one affected. There's a reason Earth is called the Goldilocks Planet. The fact is, humans are playing fast and loose with the future of life itself on the only planet in the universe known to support it. As human choices continue to make Earth uninhabitable for a rapidly growing list of species, it might not be long before we find ourselves on that list. To paraphrase "Sixth Extinction" author Elizabeth Kolbert, "If you don't care about that, what do you care about?"